At Rajoo the metamorphosis was quick. It all began in 1986 and the last 32 years have witnessed the transformation of a modest beginning in a relatively unknown town of Manavadar (Junagadh) in Gujarat to an expansive global footprint with offices in India and overseas with partners world-over. 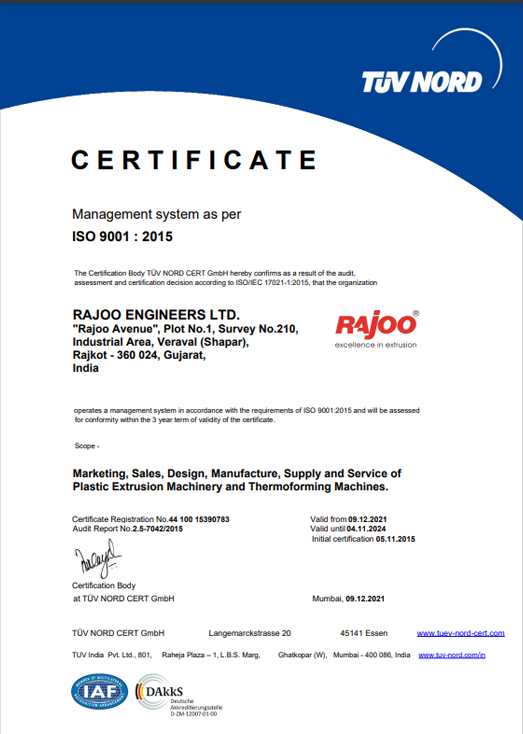 Well-known in global circles as a mature and respected organisation with a zeal for quality, price consciousness and latest in extrusion technology, Rajoo comes with the right blend of experience, expertise and excellence. 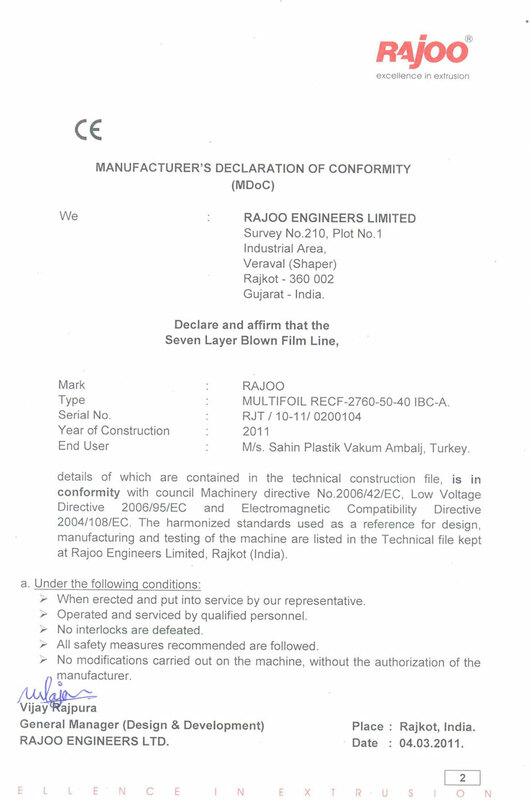 The germination of an idea nurtured by an ideology has resulted in creating one of the most respected and sought-after company in plastic extrusion – Rajoo Engineers Limited. 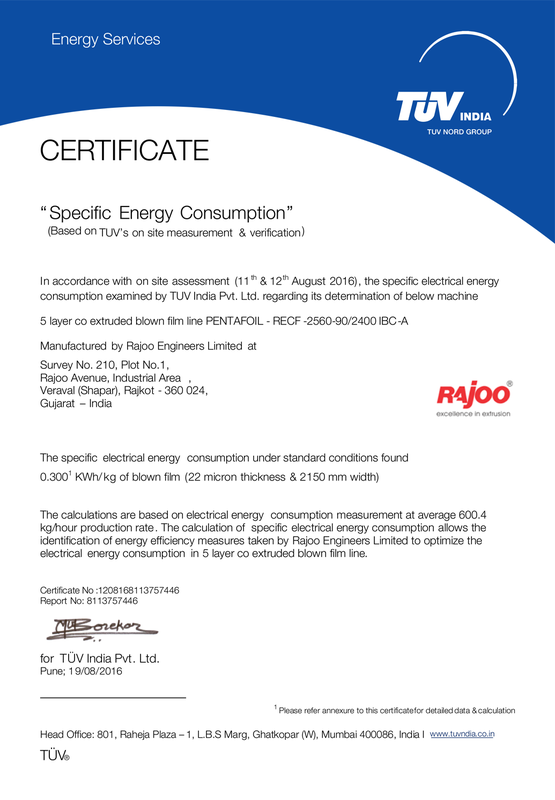 Rajoo Engineers Pvt. Ltd. started its journey at Manavadar, a small village in Junagadh district to manufacture cutting-sealing machines. Our love for “Excellence” drives who we are and what we do. Every day. Everything we do is bound by one simple thought: Excellence in Extrusion. We strongly believe in the spirit of innovation and adaptation which continues to drive the Rajoo growth story. For Rajoo, exhibiting live at a show is a matter of confidence. It is a showcase of self-belief, a representation of its market comprehension and an open proof of its capabilities.